Complete external hardware system and central hinges for rectangular and horizontal pivot windows, gap 4 mm. 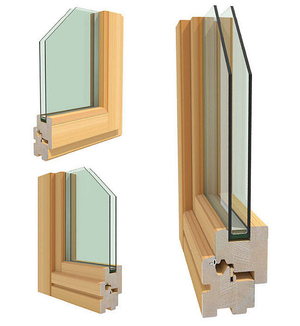 The system has compensating shims in case of windows with increased gap dimensions. A wooden window frame lends a note of warmth to any room. This natural material is very popular since it does not pollute the environment and is a renewable resource. The great variety of wood types makes for multiple options. Such windows are found in both residential and commercial settings. Frames must be treated to guard against moisture, temperature changes, UV rays, rot and insects, depending on use and location in the structure. This treatment should be more than a superficial coat of varnish or similar product. Prolonged autoclave impregnation using protective oils with organic solvents is in order. Windows should be treated with a fire retardant. Wood laminate windows resist scratching.